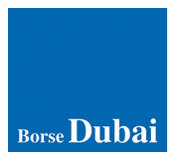 Borse Dubai is the holding company for Dubai Financial Market (DFM) and Nasdaq Dubai. Borse Dubai was created 7 August, 2007 to consolidate the Government of Dubai’s two stock exchanges as well as current investments in other exchanges, expanding Dubai’s position as a global capital market hub. Borse Dubai builds on existing synergies between both exchanges with improved infrastructure to better serve all stakeholders. Borse Dubai continues to explore opportunities with capital markets across the globe to leverage technology, liquidity, regulation and expertise. Borse Dubai’s growth mandate is extracted from the 2015 Dubai Strategic Plan which has defined financial services and capital markets as a key focus area to support the development and growth of regional capital markets to the highest international standards. This is complemented with Dubai’s strong heritage of building global leaders in selected industries. Borse Dubai will provide a sophisticated capital markets platform offering the full range of capital market activities and products throughout the region. Promoting state of the art technology, innovative products and best practice throughout.